One of the benefits of doing business with a local cooperative is the peace of mind of knowing that a portion of the money you spend on the vital services you need is invested into the local communities of rural west Kentucky and Tennessee. For example, each spring, WK&T awards a deserving local graduate with a scholarship for higher education. 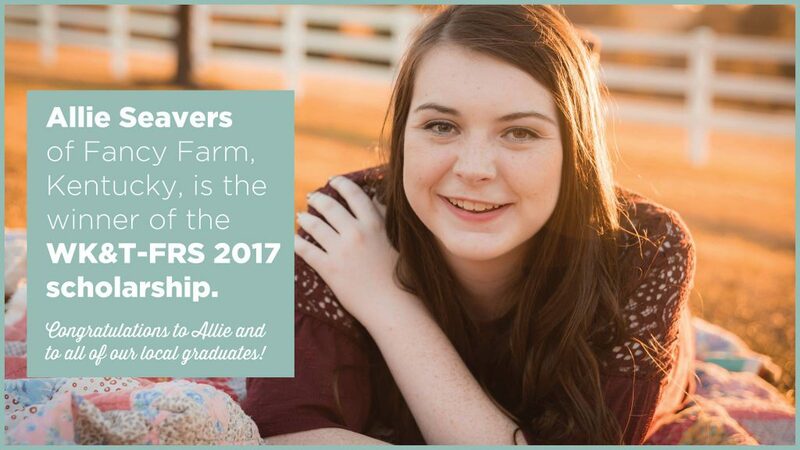 This year, we awarded Allie Seavers of Fancy Farm, Kentucky with $1,500 towards her college expenses. Allie is the daughter of Eric and Kim Seavers. The staff and management of WK&T is proud to be able to help Allie, and look forward to helping other students accomplish their educational goals in the future as well. WK&T also makes donations to local schools, churches and charitable organizations all year long. We are a part of this community and love the fact that we can invest in the things that matter the most to our members. Thank you for doing business with us. We show that appreciation by giving back to the communities we serve.